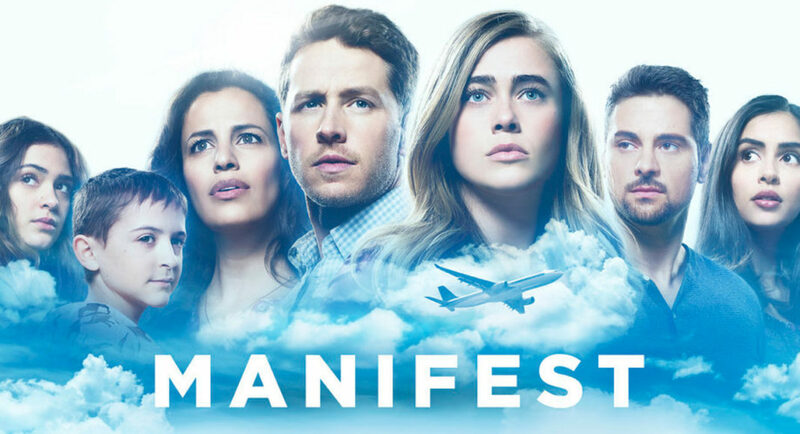 Manifest Review - NBC Hopes To Get Found By Getting Lost - Are You Screening? It’s hard to avoid comparisons to Lost after taking in NBC‘s Manifest, and while that may pull in a lot of viewers, it also makes it tricky to recommend. The very idea of comparing anything to Lost implies, at the very least, that you don’t know what’s going on, or where things are headed. Worse, Lost ended with a closing season that ultimately negated everything that came before. You can’t watch Lost again, because that’s just an exercise in discovering how nonsensical it all was, and the true extent to which it was all just made up on the fly with no endgame in mind. Who wants to sign up for a new version of that? In Manifest, a flight takes off from Jamaica, hits some turbulence, but lands more or less on time in New York. When they disembark, they’re told that actually the flight took off five years ago and everyone on it has been presumed dead. As if this isn’t enough to throw the lives of the passengers into utter chaos, one family actually split up before boarding. When their original flight was overbooked, Ben Stone (Josh Dallas), his son, Cal (Jack Messina), and sister, Michaela (Melissa Roxburgh) took the travel voucher offer and waited for the next plane, the one that got lost in time. That left Ben’s wife, Grace (Athena Karkanis), his daughter, Olive (Luna Blaise), who is Cal’s twin, and Ben’s parents to travel home on the initial flight, believing they lost their family for five years. If only a mysterious, time-traveling plane were complicated enough. The lives of the passengers of Flight 828 are obviously going to be a lot different, and sometimes the changes seem like miracles even before things get saddled with more complications. Not least, we learn that Cal has leukemia, and there have been some major advances in treatment over the last five years, mostly based on the research of fellow Flight 828 passenger, Saanvi Ball (Parveen Kaur). If Cal had been on the original flight, he’d have died years ago. Now he has an excellent chance to be cured. But, of course, there’s more to throw into the mix. Michaela, an NYPD officer who, five years ago, was on desk duty pending the investigation of some incident that has her feeling very guilty, starts to believe that there’s something going on that’s a lot bigger than just a jump in time. It starts when she saves a child from being hit by a bus, and when she later gets wrapped up in a kidnapping that is her station’s number one priority, she can’t doubt that something that will really change her life is afoot. It becomes an effort in keeping the players straight and hoping that it just doesn’t become silly, which makes for an odd viewing experience. Luckily, it manages to hook you quickly (the show takes virtually no time to get us on the plane) and keeps the pace sharp enough that you have so much to keep track of that you’re stuck on the edge of your seat. The difficulty with shows that are purposely screwy is knowing the exact balance that will work, and finding actors who can pull people into it, and Manifest seems to soar over both hurdles. There’s an obvious hook to the madness of events that just make no sense at all, but only if you’re comfortable with the characters suffering through it. I say the show seems to work in this sense precisely because of the effort. You can’t know where this ride is going by design, so as much as it might give the impression of an intriguing dive into entertaining mystery, it could also be heading for a cliff. Worst of all, the theory of such shows means that they are one smoke monster from becoming campy drivel, and how do we know one isn’t showing up? Josh Dallas is probably the show’s biggest asset, and being able to pull off Prince Charming isn’t hurting his sell. He and Roxburgh have to do most of the show’s heavy lifting, and they carry through the establishment with the kind of charisma that has people forcing their friends to adopt a series. Manifest may ultimately fall down its own rabbit hole, and there are moments during the pilot that are needlessly heavy-handed, but it’s going to have you coming back and is probably the fall’s best hope for an instant win.